I think we need a thread (and it would be fun) where old and new users can post a picture with a small text with "look what I did today". Its a steal from another forum i watch but its a really fun thread to follow like-minded people in their daily work. The rules are simple - keep it simple with one picture (or a few) with a small text including a small explanation. If you want to comment on a particular post please create a new thread ("Reply as topic") or keep it really short. The idea is to get a flow with pictures. It does absolutely not needs to be a finished project - it can be a sketch of an idea or a process of something. Anything you can take a picture off from the MySensors / Home automation world. I hope this is not violating any forum rules and if it does, please remove - but I think this can be a fun addition to the forum. It's a fancy PA_LNA nRF52832 module that supports antenna diversity. I'm told that only 100 of them were ever made. I bought it from Aliexpress, and, of course, it came with no instructions. Anyhow, with some help from @Jokgi, I just now got the PA working on it, and the photo captures the moment. It affords a nice improvement in range/coverage. I've continued to work on my MyMo (MySensors Motherboard). The board on the right is a Atmega328p / RFM69 based motherboard with the dimensions of the Sensebender gateway. On the left there is a three channel dimmer/switch for 12 V LEDs stacked on a motherboard. In theory (because of the MYSX connector) the board should fit on the sensebender gateway if more horse power is needed. I've not tested that yet. which shows the transmit power further boosted all the way to 4 watts. This is virtually guaranteed to solve any range/coverage issues you may have, even at 2mbps. Nice idea. BTW, we need more projects implementing the MySconnector. We could start building our ecosystem like wemos did. This prompted me to finally get started on something that I've put off for far too long, especially considering how little work it was. I'm still using dupont wires to connect my radios, despite better solutions such as the easypcb being available. But this quick little trick makes it easier to switch the radio modules. In the future, I plan to build the other end of the connector for Pro Mini and Rasbperry Pi. Today I had to make a quick debug to my dorrbell node. It stopped working for some reason some weeks ago but the node was fine. It was due to Domoticz update didn't recognise the node anymore. Since it's down I'm going to change from a mechanic trigger to a octocoupler... Any day now. I also have a new outdoor node testing for some weeks npw... Maybe tomorrow will be a Mysensors day and I can do the enclosure and deploy. I also learned that maybe I shouldn't recond at 50fps using the highest quality codec, because uploading videos take a lot of time. Today's build is a new raspberry pi gateway to assist troubleshooting in this thread. I use the connectors that I created earlier. Great to be able to switch radio module in the connector. The binder clips to the left are great for keeping network and power cables in place. Is your use of cables for temporary testing, or is it permanent as far as you're concerned? If the later, I'm surprised you haven't yet found a PCB solution openhardware.io that you prefer. @NeverDie I guess it could be considered permanent by now. I have been using MySensors for more than 2 years and I've never gotten round to using any of the pcbs. @mfalkvidd in fact if nobody is going to touch the area around the raspberry, jumper wires just work fine. I'm waiting for the result on the double radio pcb hat for raspberry. Rule #1 from what I've read is to keep connections as short as possible, especially when radio is involved. However, if you're not suffering from using long wires, then, well, I guess why not? If this is a prevailing belief, then maybe it does at least partially explain the remarkably low uptake of openhardware.io projects. Guys, you are deviating from the OPs thread "rules"
I guess the thread can evolve the way it does - but in the same time, if there are a interesting ongoing discussion all mods are more than welcome to lift that discussion out for a own thread and if so we can keep this thread as intended? Last night i continued improving my Logger (mostly protecting the serial input and make sure it can handle incoming serial logic from everything from 2.5v to 5v into my 3.3v system). I finally bought myself a oscilloscope so now I have the longest list possible of things I want to improve... (EasyPCB series, Booster performance?, some relays... the list goes on). Tonight I changed the mechanic trigger to a optocoupler on my doorbell node. I went with some sort of half good solution. Today I made some small changes to a battery node. Once again I had copy/pasted all battery code but forgot the internalReference in setup() (since I copy from another node sketch). So I now created a dedicated file for battery code I can use to copy from... and once again I remembered I'm not a coder... But it works. 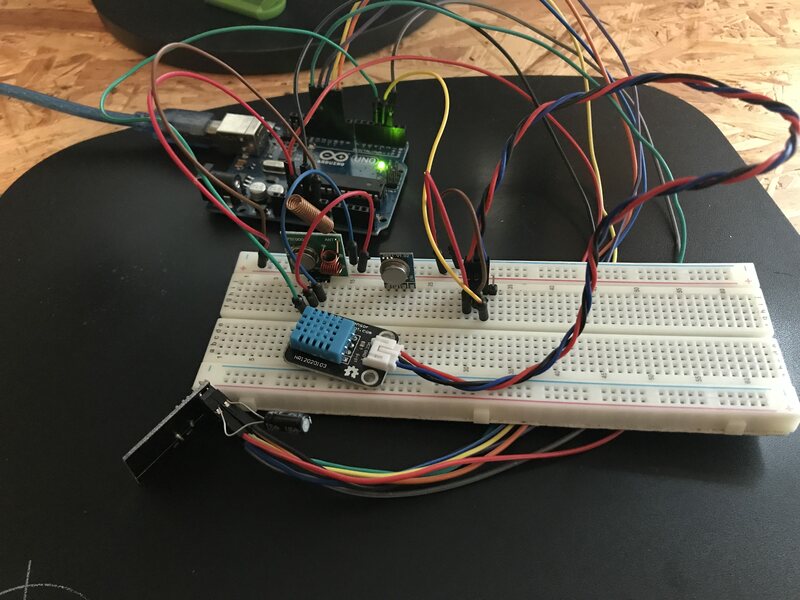 Made a small tool to simplify the extraction of serial debug data from a 10-pin IDC connector and reading it from a typical 6-pin FTDI module. The 10-pin IDC connector is what's most commonly used for programming nRF5x modules. Not really MySensors-related, but I found a nice logging library for Arduino that I'm using in a project. The library was orphaned some time ago, but now has a new maintainer. I assisted with an update of the documentation and some source code cleanup. I made an nRF52832 board today with 5 different colored LED's on it: red, green, yellow, orange, and blue. Mostly I think it may be useful while debugging code. All the LED's except for blue emit light all the way down to 1.8v source voltage, so it's good for battery powered operation also. The blue lights up all the way down to 2.4v, and I had to grapple with a 0403 LED to get that low of a voltage for a blue LED. In the end it was so tiny that I couldn't see the polarity of it, so I hit on the idea of running a blink program and seeing whether it would light up just before I soldered it in place. That worked. Also, this board channels its serial output over the 10-pin IDC connector, so I used the tool I posted yesterday to read it. Works great, and now I don't have a six pin FTDI connector cluttering up the PCB. A (long) time ago I had my own Android app which talked xmlrpc to a Python script, which talked serial with my Arduino which in his turn talked 433 Mhz to our outlets turning lights on and off. All was dandy until Android 4 came along and something stopped working security wise and we were send back into the middle ages. Today I successfully got MySensors working enabling me to read temp/hum from a node and letting me send Elro signals into the air over 433Mhz from OpenHAB2. Now I can scale, extend and upgrade my sensors and actuators I can move forward and start improving our home. Today I completed the installation of the first of my 4 channel 240V LED light dimmers. This is installed in the roof and supports 4 buttons to turn on/off/increase/decrease each channel. It uses an AC zero crossing detector circuit and can be configured for leading or trailing edge dimming. Working on a smart clock project. Need to make some major code modifications to the example, but should work. I have a test sketch that just passes the time from the RTC to the display, so I know that is all working. Last night I made a enclosure to my new outdoor weather station/node. It is made from 2x 70mm sewer pipe end caps and a small sewer pipe to keep them together. Works surprisingly great and looks good. Now its painted black and drying - lets hope I can find any daylight this week and mount/deploy it. @sundberg84 If this is going to be out in the sun, I would think you'd want it white. Black is going to heat up your electronics quite a bit. @dbemowsk - No worries, no sun! All below a roof so I get shade all the day. The roof is black so I need it to blend in as well. Of course, my ported breakout board, being as large as it is, doesn't do it justice. That's OK, though, because its main purpose is just to take the BC832 for a test drive. Power (lower half) and external interfaces (upper half) PCB for my "entrance" MySensors node (unregulated voltage, +5V, +3.3V, doorbell detector, electronic door lock status, temperature, etc). I'm using conventional 220V=>6V transformers as main power supply and as simple 220V presence detector for doorbell. Let me present - How NOT to deploy a MySensors Node! Here is how you do: 1) Skrew everything solid to a wall 2) Power it up and make sure you have shorted a SDA / GND or VCC on your BMP sensor just because you dont doublecheck the colors 3)Forget to enable # My debug 4)Fetch your last BMP sensor but drop it on the lawn (pitch dark outside) 5) Spend 30min with a flashligh in 5dgr C searching for the sensor and try it out once you find it. 6) Nothing works so Un-screw everything and connect it to FTDI inside at your computer, reupload the sketch with debug. - Now everything works fine (with the first sensor) for some unknown reason. 7) Skrew everything back again! Find out the BMP sensor is not working 9) Debug Serial (atleast I got to use my new logger) 10) Find out a short on the MysX connector due to bent wire. New and old sensor - side by side. @NeverDie Im waiting for someone to create those MysX shields so I just can attach them to my EasyPCB. @sundberg84 Where is the definitive description of MysX? Perhaps I might have a go at making some shields with it, if I knew what it was. @mfalkvidd Wow, MYSX 2.6 is a 22 pin connector! That wouldn't be practical on a small shield (such as a pro mini size shield) I don't think. @NeverDie from what I've understood, the idea is that you pick the lowest revision that can support the features you want. So you can select 8, 10, 12, 14, 16, 20 or 22 pins. Non the less, if we start having a more standardized environment on the mysx connector, it would be best. But we are going OT. It's meant to be a "universal" shield that can accept any of the most common nRF24L01 modules, whether they be SMD or the 8-pin variety. The way I see it, there's not really much reason to continue using the nRF24L01's, except maybe already existing familiarity. [Edit: the one area that the nRF24L01's do still hold an edge, though, is in pricing on the PA+LNA versions. Some of those are still comparatively inexpensive compared to what's currently available in PA+LNA nRF5x series. One advantage to the "atmega328p+nRF24L01 combo" is the simplicity of choices. A pro-mini is pretty much a pro-mini, etc. 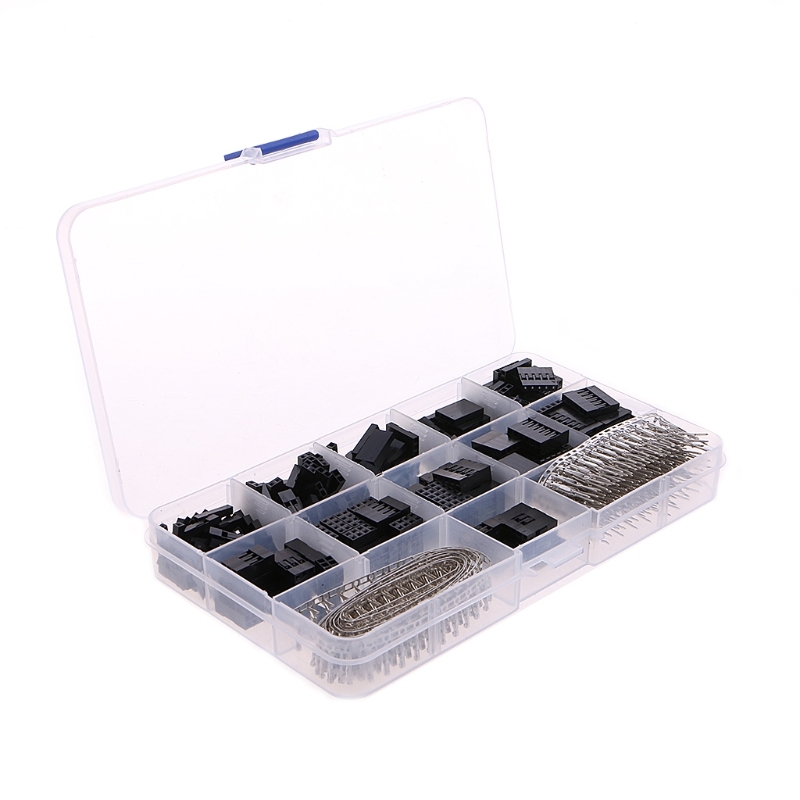 Having so many choices makes it hard for a beginner with nrf51. I really appreciate the recommendation for a reasonably priced nrf51 that can be used for battery powered nodes. Can I also ask for a recommendation on a piece of hardware to program it? (Again, lots of choices). Can I also ask for a recommendation on a piece of hardware to program it? I've tried/attempted a number of different ones, and I've settled on using the nRF52 DK as being the best for programming external modules (at least in my experience). Just be sure you power the modoule independently from the nRF52 DK, because the DK mostly senses the voltage on the module rather than powers it. Protecting a ds18b20 tempersture sensor to measure soil temperature for a prototype node. @mfalkvidd what is that in the background - some sort of PCB ruler? You may already know this, but it's easy to find ds18b20's that are enclosed in sealed metal probes. I've used some, and they don't seem to leak, even when left submerged in water. Today's power part of my RGBW dimmer node (four LED channel PWM inputs, 12V input, +12V sense, +5V, +3.3V outputs). Dimmer is controlled by MySensors and also by conventional Samsung TV remote control (five presets, ability to record color presets, autofade from one preset to another, control of each LED channel brightness, gamma correction and so on). Just simple, small temperature node. Nice. Waht kind of CNC machine did you use to make the PCB? @NeverDie I would bet on chemicals instead cnc..
@scalz Yes. After looking at it more closely, I bet you're right. Does ferric chloride get used much any more? Today I finally got to work on the nrf51822 that I bought some months ago. Using the Arduino IDE and my st-link v2 clone I was able to flash a softdevice and load an example sketch. It seems to have worked, but I don't know how to communicate with the device yet. Serial? Swd? Some app on my iphone? Will need to do some reading tomorrow. Recommendations are welcome. How did he like it? @gohan it's fun to do projects together! We enjoyed it and I tried the water story to explain everything. Also some short instructions to solder the legs and not the solder itself... Now he is playing with it so a good result! On the workbench today: My Lenovo laptop getting a wireless network card replacement. The old card was wonky. Sometimes it wouldn't allow any network activity for a minute or so. Sometimes it would allow traffic, but only at 1-2mbit. Sometimes, but very seldom, it would deliver the ~100mbit it was supposed to. With the upgrade card (bought off Aliexpress of course ) it delivers 40 megabytes per second when copying files from my desktop, and has been able to sustain that speed for more than ten minutes straight so far (still testing). New life to my poor laptop! Today I'm doing some small things... Changed the antenna on my RFM gw to a bigger one. These one works really well!! Highly recommend. The version 1 board for my button cell TH sensor finally arrived today. Though now obsolete compared to the current Version 4, I put it together anyway, and it works just fine. I'll be able to use the I2C connector to get the software working for the si7021 and BME280 TH boards, so I expect the firmware will be finalized and ready to install before the version 4 board even arrives. Time for the nrf24 to move over and my LoRa concentrator board to take its place on the lab RPi. Today I also started upgrading my Domoticz running Raspbian 7 (Wheezy) to Raspbian 9 (Stretch). I tried to do an in-place upgrade but the rpi wouldn't start after the upgrade so I had to start over on a clean Raspbian 9 image. I took the chance to switch to f2fs for the root filesystem, which should make the SD card less susceptible to corruption. I used this guide and it worked, except that I also added discard to the fourth field in /etc/fstab and changed the sixth field to 0 to not fsck before boot. When I wake up tomorrow, domoticz might have finished compiling. Though not directly MySensors related, I am setting my 3D printer up with some lights to see my prints for my MySensors projects better when running a job. These are some white LED light assemblies that have been salvaged from some recycled document cameras. I built a simple 7805 regulator circuit to run them. The next step is to design and print some brackets and articulating arms to mount them to the printer. @mfalkvidd ai ai. Yes. I was warned on the Domoticz website about the 'not being able to startup'. I was able to successfully update from Wheezy to Jessi. Skipped the Stretch part for now. Looks like a mess now, but this development PCB comes in quite handy. Of course the Halo GW didn't disappoint us! All boards (mixed mcus and radios nodes) were attacking it at an agressive rate (100ms rate), and there was no crash at all. Halo GW was laughing & kidding us saying "Please give me more, I like doing this" (but I was lazy to assemble more, there was 13 nodes on the table..). 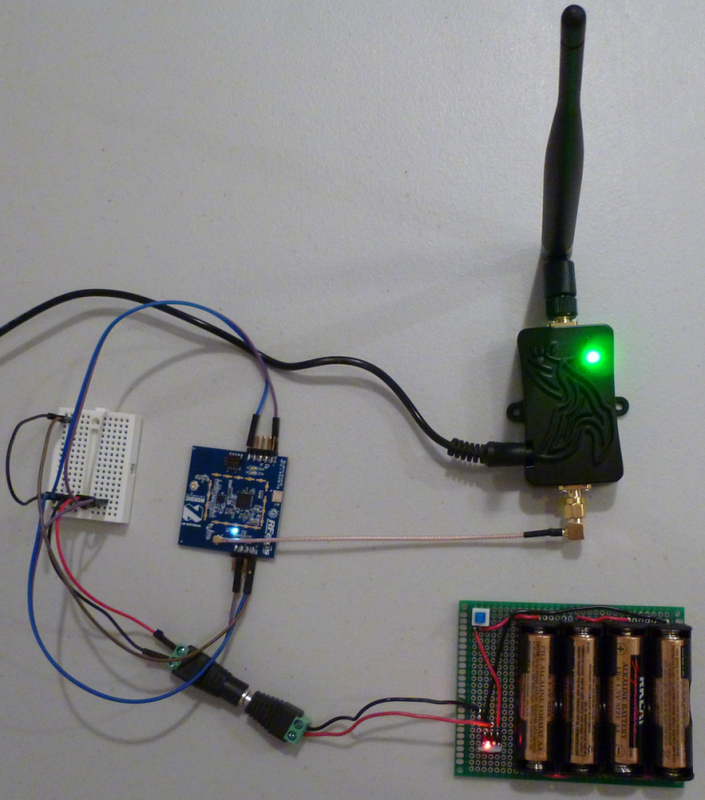 Here is my Wemos "Serial" wireless gateway that I just today put together and installed. Connects to Domoticz as an ethernet gateay over wi-fi. Uses a static IP address that I configured on the wi-fi router. By the way, it's powered (and physically supported) by an Ikea USB charger, as seen in the photo. Not mysensorized, but still a neat and cheap solution. @gohan That would make for a very interesting project write-up, so that others might quickly replicate your work without a lot of head scratching. It is actually very simple project: I followed this guide -> http://www.sysrun.io/2017/02/22/use-a-esp8266-to-control-your-ac-via-mqtt/ and used a pn2222a to boost the IR Led. Also the app is very simple: just link each item to one of the topics. 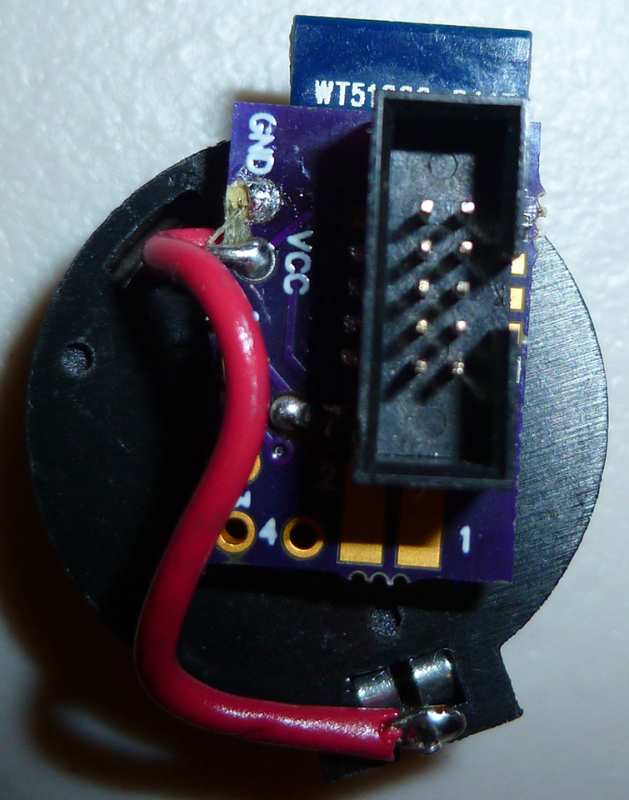 With help of @dbemowsk @sundberg84 I was able to complete my "CV All in one sensor" using the easy PCB. It now replaces 2 Arduino Nanos with only 1 Easy PCB. 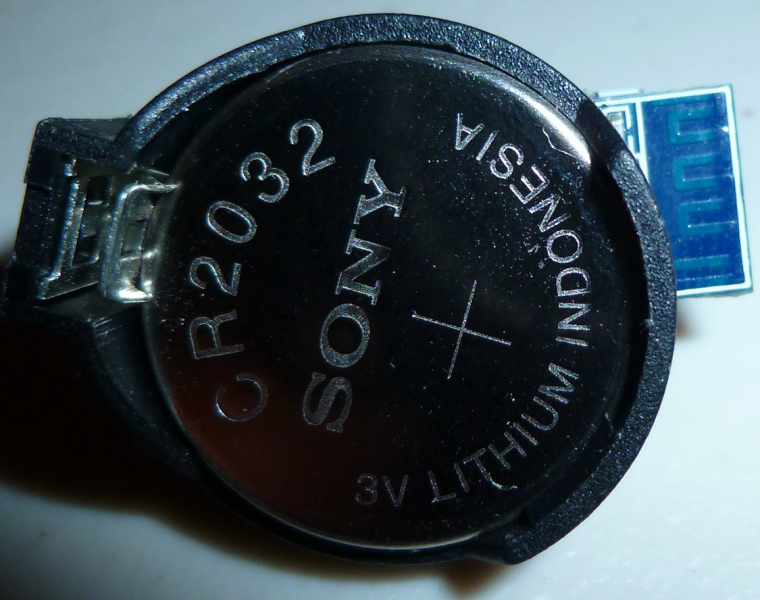 Currently the 0,1u Capacitor is missing, however as I was told by the designer it still could work. And it does. Is able to detect if the heating unit has a leakage. if the humidity in the bathroom becomes to high, or somebody is cooking.. It will start the BRINKS central WTW. Can reset my OTGW unit if it has a lock up. Was going for a bed occupancy sensor, but I got a pretty decent scale out of it, it is sensitive enough that it registers if I put my water bottle down on the bed. I've been playing with an Adafruit AudioFX board and cobbled together this annunciator. Eventually it will be a MySensors node to play alarms or other sounds. It is using a cheap portable speaker to play the sounds. I got it to work with my doorbell button node today. Last fix done on my Logger... I will send it to pcb house today and probably publish a beta on openhardware. Probably nothing special but for me as hobby pcb maker this has been a challenge and great knowledge increase in using oscilloscope and new components. Battery powered MySensors Washing machine & dryer monitor, using LDR's to monitor LEDs on front of the appliances. Each time a LED toggles, the node wakes from interrupt and sends a message. Easy peasy!